The Medium Employer of the Year Award recognises a medium business which has achieved excellence in the provision of ‘nationally recognised training’ to its employees. Please not that 'nationally recognised training’ refers to training that is based on a national training package or accredited course which results in a person receiving a formal qualification or Statement of Attainment issued by a Registered Training Organisation. This includes Australian Apprenticeships. 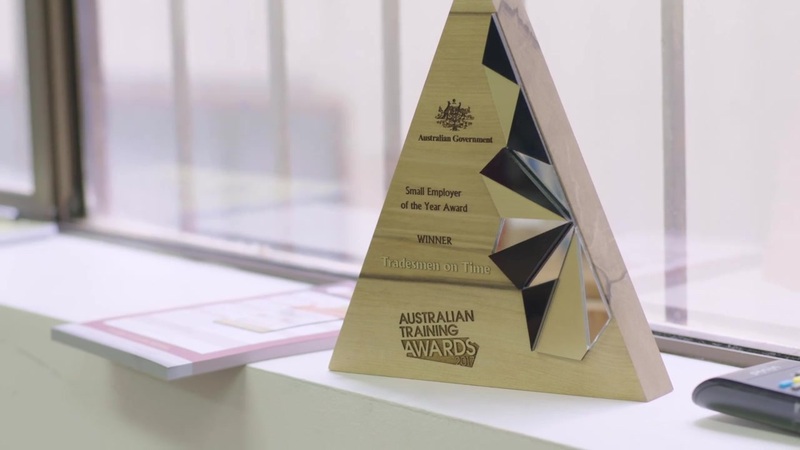 be the winner of the equivalent training award in 2019 in their Australian state or territory of operation. Nominations will not be accepted from organisations whose core business is the delivery of vocational education and training (these organisations may consider nominating for either the Large or Small Training Provider of the Year Award). How you integrate on-the-job and off-the-job training. How training will improve your business in the future. how you find out about the training needs of your employees. Innovative approaches that you use to encourage access to training for your employees (e.g. mentoring, e-learning, collaborative learning). The training programs that have been specifically designed for these employees.